I love to search for the perfect gift. It does not need to be expensive. It simply gives me joy to find something that is uniquely fitting for someone. I get so excited to give the gift just to see their expression of surprise and delight. I often hope I’ll hear, “Oh my! How did you know?” or, “It’s so perfect, and I LOVE it!” These moments bring me a sense of happiness and I feel connected in a special way when a simple gesture is recognized and valued. The concept of grace in the Bible is understood to be the unmerited favor of God. Truly, every breath is a gift we cannot earn. However, there are many times when we receive a special grace or gift—a complete upgrade in the unmerited favor of God. 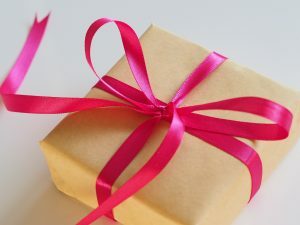 Initially, we are surprised and thrilled as we benefit from the unexpected gift. Yet, many people also struggle to fully embrace these experiences without feelings of guilt and shame. They may experience lingering thoughts of unworthiness and feel undeserving. This can lead to compensating for the special grace by giving back or over-performing in other areas in an unconscious effort to minimize these negative feelings. Denying the vulnerability of connecting with our needs and desires, or engaging the pride of needing to feel independent, robs us of fully enjoying the gifts of grace God finds for us. Those who have experienced trauma especially struggle with enduring feelings of internalized shame and unworthiness. They share feeling ashamed of receiving the special gift of grace given to them often from family and friends who love them. I recently received a “special grace” – an unforeseeable gift. I shared with a friend my efforts to fully embrace the gift. I also shared the struggles I often see in our residents to fully receive grace without feelings of guilt or shame of benefiting from an abundance of grace given. We reflected on how fully embracing (even indulging in) God’s gifts are acts of worship! Fully embracing his gifts is acknowledging they come from Him whereas trying to earn them is dishonoring. I can’t imagine it brings Him any joy to sheepishly or reluctantly enjoy the gifts he give us. Later that same afternoon, I met my friend at the beach. We spent the next hour encountering the powerful and playful waves of the ocean. I don’t think there is anything I enjoy more than riding the ocean waves. We dove into the approaching waves and laughed hysterically as other waves crashed on us one after another. We enjoyed a great time. As I continued to think about fully receiving my special gift of grace, I remembered my experience at the ocean. Diving into the huge waves, my friend and I laughing as the waves crashed on us and the great time of connection we shared. I reflected on how taking in the abundant grace of God is like the waves of the ocean. 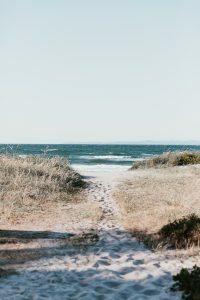 Relishing in the shameless freedom of diving into the overwhelming enormity of His grace and allowing oneself to feel the exuberance of letting his goodness crash on us – just like the waves that day! It brings God great joy to see us fully take pleasure in the good and perfect gifts He finds for us. Delighting in His gifts leads us to grateful worship, but the act of fully delighting in the gift itself is worship as well! 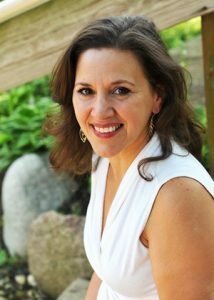 Juliet Cáceres, Psy.D., CEDS, is a licensed clinical psychologist and certified eating disorder specialist. She serves as the Director of Spiritual Care at Timberline Knolls Residential Treatment Center near Chicago. Dr. Cáceres provides leadership and direction for the clinical integration of spirituality into all aspects of programming as core to recovery and wholeness. She also supervises and trains on the clinical integration of spirituality for clinical staff working in the Christian program at Timberline Knolls.